Mother & daughter duo, Jordan & Sue, the founders of Be Made, Inc., share a passion for products that are vintage, quirky, well-designed, and mostly importantly, unique. Be Made is always on the lookout for local Kansas companies to showcase. They found our products and fell in love, we can tell you the feeling is mutual! You can learn more about Be Made at www.bemadeinc.com! Meet Jordan and Sue, the mother daughter duo that founded Be Made, Inc! Be Made, Inc. can be found in the historic downtown Hays, Kansas, in the “Chestnut Street District”. The duo said it was love at first sight with the historic building where their shop is located. It dates back to 1911, and after gutting it they were able to bring it back to its beautiful beginnings. It features tin metal ornate ceilings, wood and hand layered tile floors, exposed red brick walls, and an upstairs studio for all their creating and designing needs. Luckily for their shoppers, these two women share a love for anything vintage, quirky, and well designed. The products you’ll find in their store are nothing short of un-ordinary, rustic, and unique! They have made it their continuing goal to offer products in every category – including accessories, stationery, bath and body essentials, kitchen supplies, home décor, kids, and so much more. Many of the store’s products are their very own, ranging from upcycling and recycling, to graphic design work, to sewing, and wood/metal working – we told you they were a creative and imaginative duo! We believe in NOT having a “system” for picking products, but rather simply going by a feeling of “I love this product.” We do have a love for small businesses like ourselves and a special place in our hearts for Kansas made items. The product has to give us a great feeling, be of quality, have a uniqueness and be something special that we want to share with our customers. We believe the success of our store has a lot to do with having such a large variety of products. Our customers are AWESOME!!! We have amazing local support and are always overwhelmed by the amount of miles our out of town shoppers are willing to drive to shop with us 🙂 Our customers are always so excited to come in and see what we have new and changing….They know we get new items in weekly and they absolutely love that! How long have you been selling Mixture®? We are always on the lookout for Kansas companies to showcase in our shop! 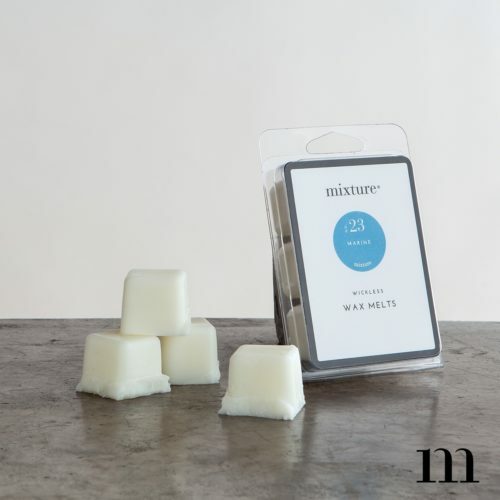 We came across Mixture and were hooked once we tried the hand lotion! Finding quality bath and body products is always a challenge. We quickly called Jill and set up a visit so we could see behind the scenes and smell all of the scents. How could we pick out of so many scents and not actually get to smell them all?! Through our tour and being able to take the hands on journey through the plant we quickly placed our first order! We have proudly carried Mixture for almost a year now and love adding on new products every time we order! 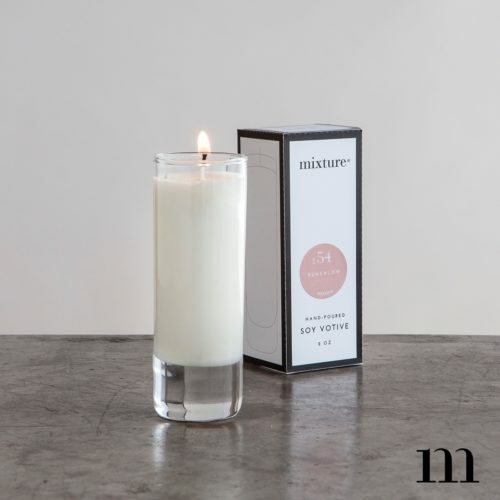 Our absolute favorite part of mixture is the variety of scents!!! How easy to change up the display and give the customers a new experience every season with new scents and new color votive options. What do your customers say about Mixture®? Our customers are first drawn in by the colors of the votives and then hooked from their first smell! They love discovering all of the scents. They are never let down by quality and that makes them come back for more!Mixture is definitely one of our favorite companies to display. The votive color options make it so fun to do seasonal eye catching displays. They also make the cutest gift baskets by bundling a few of our favorite products. Small businesses and shopping local are vital to the success of our economy and the American dream. If you are interested in shopping for Mixture products, we always recommend you look for a local store near you!